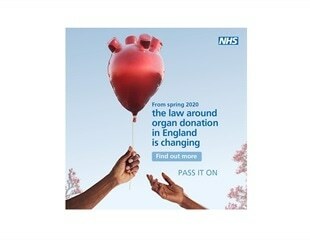 NHS Blood and Transplant today, Thursday 25 April 2019, launches the year-long national campaign, ‘Pass it on’, to increase awareness and understanding of the new organ donation law – Max and Keira’s Law – which comes into place next year, across England. In a major medical breakthrough, Tel Aviv University researchers have "printed" the world's first 3D vascularised engineered heart using a patient's own cells and biological materials. Novo Biosciences Inc., has achieved several major milestones in its mission of bringing its breakthrough drug candidate, trodusquemine, to market as a potential regenerative medicine treatment for heart disease and Duchenne muscular dystrophy.